You’re all excited about a trail ride to an area you’ve never been before. Usually the last thing on your mind is getting lost. It can happen to anyone. Seasoned hikers, hunters and horseback riders all have a story or two about getting lost. Getting lost in the forest can bring on an instant panic attack. CJ and I have always loved exploring new areas either on horseback or backpacking. The procedures for staying safe are the same. The number one thing you can do starts before you even leave. 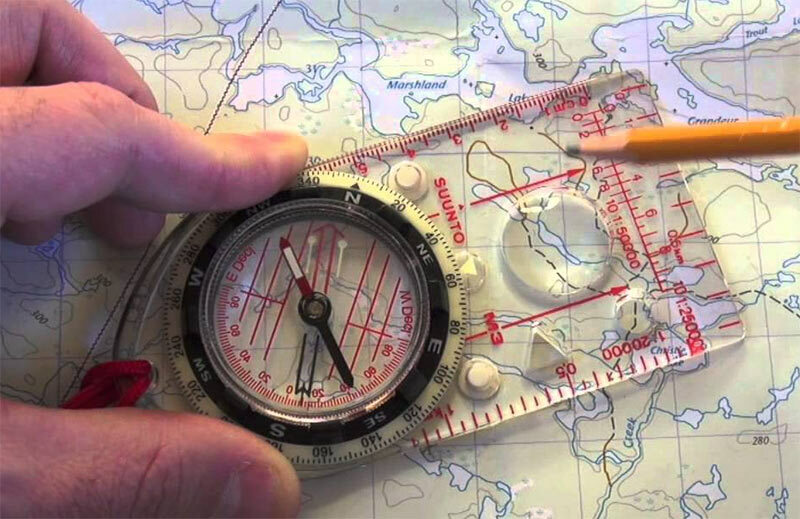 Whenever planning a trip to a new area or even joining friends who tell you ’Don’t worry, I know where we’re going’ is to take personal responsibility by having these basic 3 tools: a GPS unit, a topo map of the area and a compass. Routes – Routes are made up of pre-stored significant waypoints that your GPS can navigate to in sequence taking you from waypoint to waypoint down a trail. Tracks – Tracks are created as you move. The GPS automatically stores waypoints as you move down a trail. The first thing I do when we park our trailer in a new area is take out the GPS and mark our starting point. If you get turned around at some point you can always navigate back to your vehicle. There might be some bushwhacking involved if you’ve lost the trail but at least you know you can navigate around obstacles and get headed in the right direction again. After we are tacked up and ready to head out I turn on the Track function and then place the GPS in the top compartment of my CamelBak. At pre-determined distances or any change in direction the GPS adds a waypoint to the Track Log. 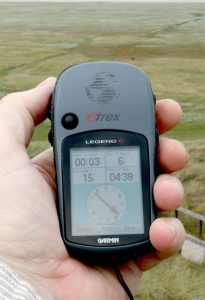 My Garmin eTrex has a TracBack function that will reverse the order of a track to lead you back to where you started. A really handy function! S o what about topo maps and compass. Something I learned a long time ago is if it runs on electricity it can fail at any time for any reason. For this reason always carry extra batteries for your GPS and it’s not a bad idea if 2 or 3 people in the same group each have a GPS. (Back to taking personal responsibility). When all else fails you can fall back on old technology: a map and compass. A compass is a pretty straight forward tool. The needle points to magnetic north. By itself it can give you general directions. If you know where north is you can also tell which way is south or east or west. But when you combine it with a topo map you can navigate intelligently around obstacles that might lie in between where you are and where you need to be. The first thing you notice about a topo map are all the lines. Contour lines tell you 2 things. They tell you elevation and also how steep the terrain is. The closer together the contour lines are, the steeper the terrain. Widely spaced lines indicate relatively level terrain. Like everything you do for the first time, learning to use a GPS or map and compass is probably going to be a bit confusing. But learning these skills will benefit you in the future by giving you the tools you need to stay safe out in the mountains. It will also give you the ability to discover new places that you might not venture into if you didn’t have the skills. Thanks that was a really helpful article!